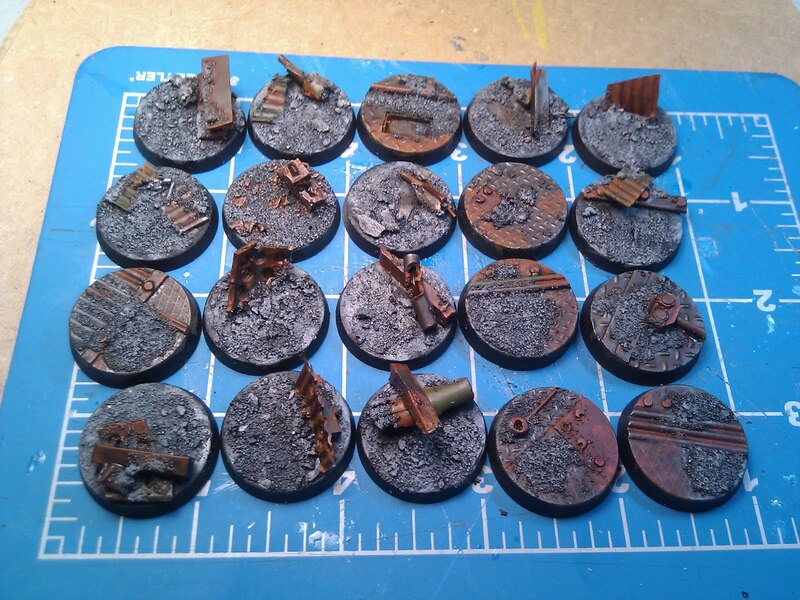 Boltguns, Bashers and Brushes: Bases Finished? Tac Squad one, Base Coated. I threw more paint on the bases, to give them an Orangey ruddy rust color with the metal. Feels kinda Orky... Here is a pic. I am not sure how they will look with an Angel Sanguine on them, so I am working on my first squad and leaving these for the time being to tweak later. Still have to flock them too. Next step is to line the black, and cleanup the black side. Overall, it was pretty easy once I got the hang of it. It is a great idea. More this weekend. 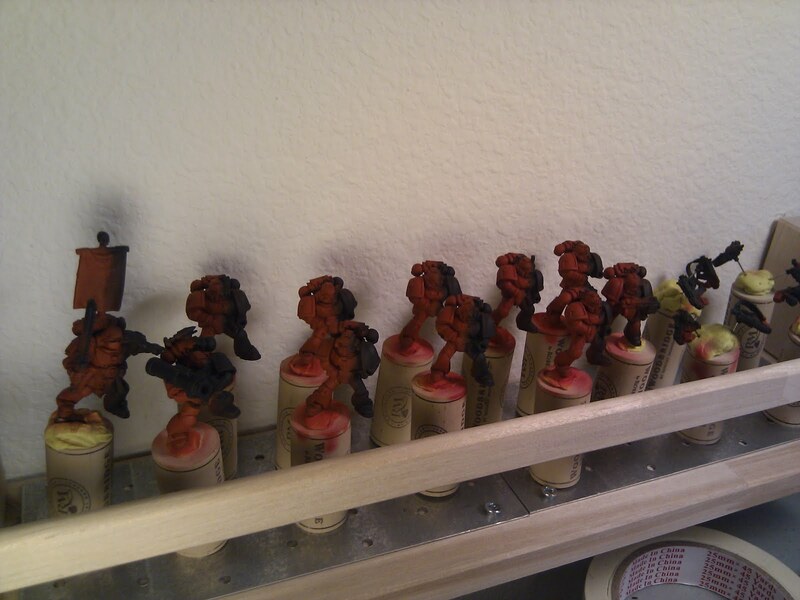 What's the putty you use to keep them on the corks? I bought some adhesive putty by scotch but it seems a bit weak.